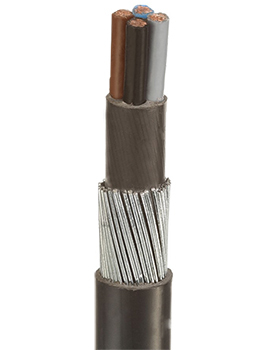 Armoured cables are hard wearing electrical or auxiliary cables with a protective shield layer of either steel or aluminium wire. 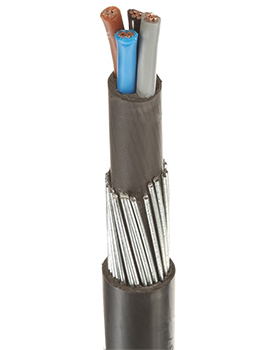 As well as being mechanically resistant, these cables also tend to have resistant properties in respect of water, sunlight and harsh chemicals. 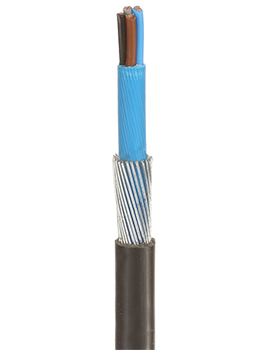 These are designed for mains electricity supply particularly in external or underground situations. 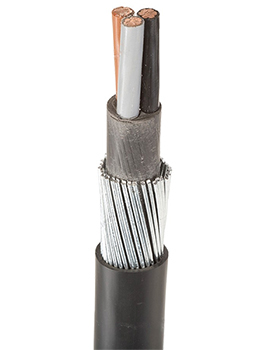 Cables can be single core or multicore. 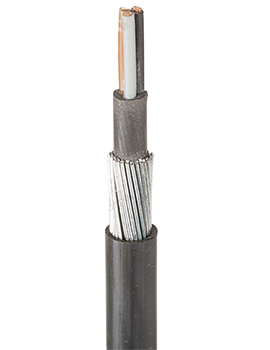 Single core always has aluminium wire armour as aluminium is non-magnetic, and the current in a single core conductor produces a magnetic field, which could cause steel wire armour to overheat. 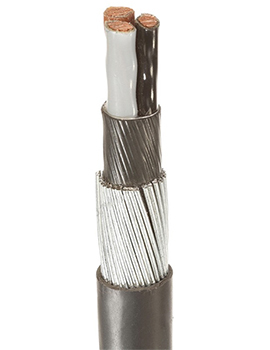 Steel wire armour (SWA) is used for multicore cables. 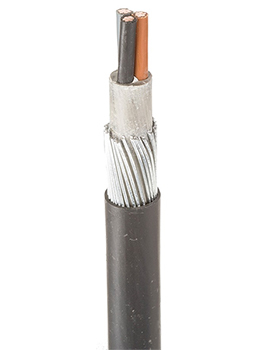 Armoured cable is considerably heavier than normal electrical cable, and does not flex easily: it is therefore much more resistant to pinching or damage. 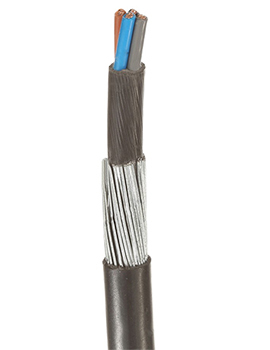 For the majority of situations, the armour can be used for earthing. 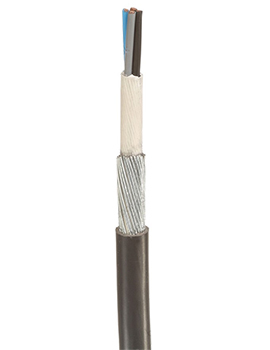 When installing externally above ground, on walls, for example, it can be attached with cleats. When buried below ground, each situation needs to be considered in regards to the depth of placing and whether additional metal conduit or warning strips are sensible measures. 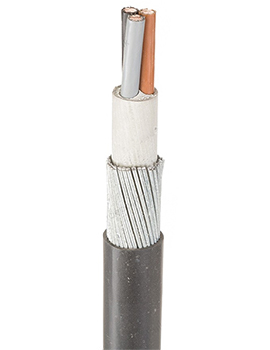 While armoured cables can also be used internally, it is essential that it is used for external or underground situations where the protective elements of the cable ensure operation that is safe and long-lasting. 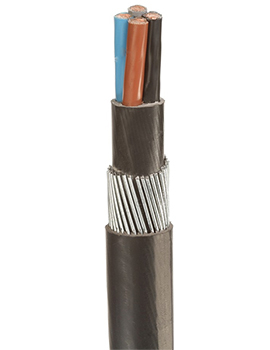 The British Standard which applies to SWA is BS5467 or BS6724. 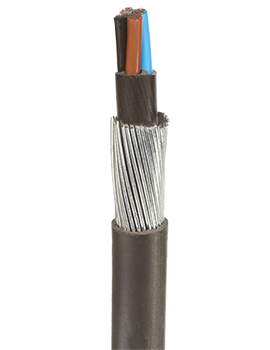 Regulations exist which provide directives and guidance for the installation of wiring in the home in the UK, so it is wise to be aware of this as work may need to be notified to the authorities or carried out by a qualified electrician. All our armoured cable meets or exceeds BS5467 and BS EN 60332. 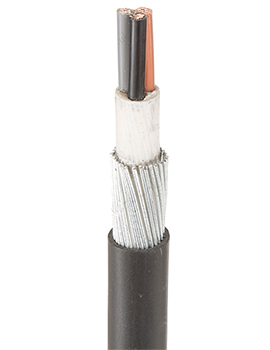 We stock 3 and 4 core cable from 1.5mm to 25mm diameter and are sold by the metre length. We are more than happy to advise you on your requirements. Call us today! !